If your pet is showing any of these signs of dental disease please book for a FREE dental assessment with one of our veterinarians. The veterinarian will assess your pet's dental health and help formulate a plan to address any issues. If dental work under anaesthetic is required, such as a clean and polish or extractions, our vets will give you an estimate of costs based on your pet's specific requirements. 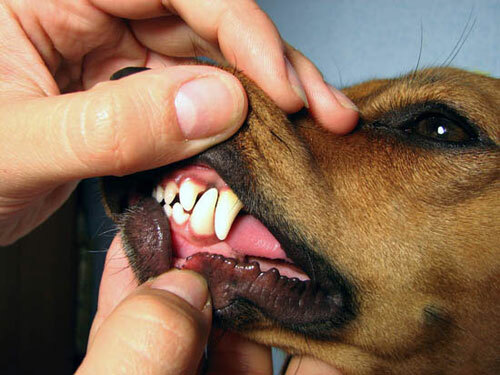 The best and first step is to 'flip the lip' and have a look at your pet's teeth. Many animals will hide signs of significant dental issues until very late in the disease. Early assessment and action can save you money and your pet the pain and discomfort of a sore mouth!